ELYRIA, Ohio (CBS/AP) A teen's obsession over a violent video game turned into murder. A northeast Ohio teen was convicted of shooting his parents in October 2007 after they took the Microsoft game Halo 3 away from him. The judge said the teen was so obsessed over a video game that he may have believed that, like the characters in the game, death wasn't real. Daniel Petric, who shot and killed his mother and wounded his minister father, was sentenced Tuesday to 23 years in prison. Petric, 17, who could have gotten life without parole, shook his head slightly, sniffled and held back tears but sat down without saying a word when given the chance by Lorain County Common Pleas Judge James Burge. Petric's eyes were red from crying when his father, Mark Petric, asked the judge to be lenient and said his son regrets killing his mother and reminds his father often that he is glad his father survived. "He's told me that many times," said Mark Petric. As for his mother, Daniel Petric's frequent comment is "Dad, I miss mom. I miss mom," the father said. "He still does not understand why he did something so terrible," Mark Petric told the judge. 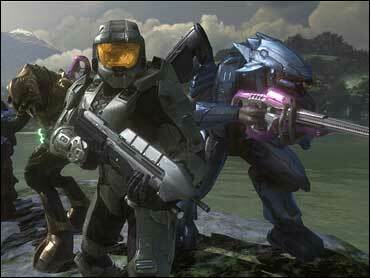 In the video game Halo 3 players shoot alien monsters that have taken over the Earth. The prosecution disputed the contention that Petric had shown remorse for the crimes and asked for the maximum sentence. Besides his father, Petric's sister, grandfather and other family members attended the hearing in Elyria, about 20 miles southeast of Cleveland. Some wiped away tears. The defense claimed his age and addiction to the game made him less responsible.